These two pieces of paper show Atchison, Topeka & Santa Fe Railway Company stationery. The top paper is from R.P. Bird, G.A.F.D., Santa Fe Ry. 225 Broadway, New York, N.Y. 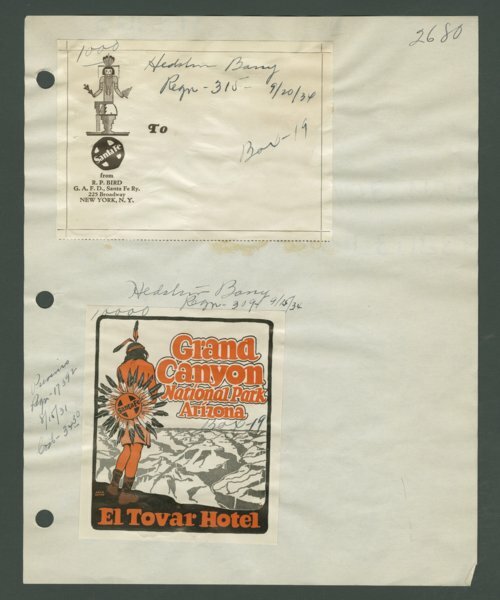 The bottom paper is from the El Tovar Hotel and the Grand Canyon National Park in Arizona.